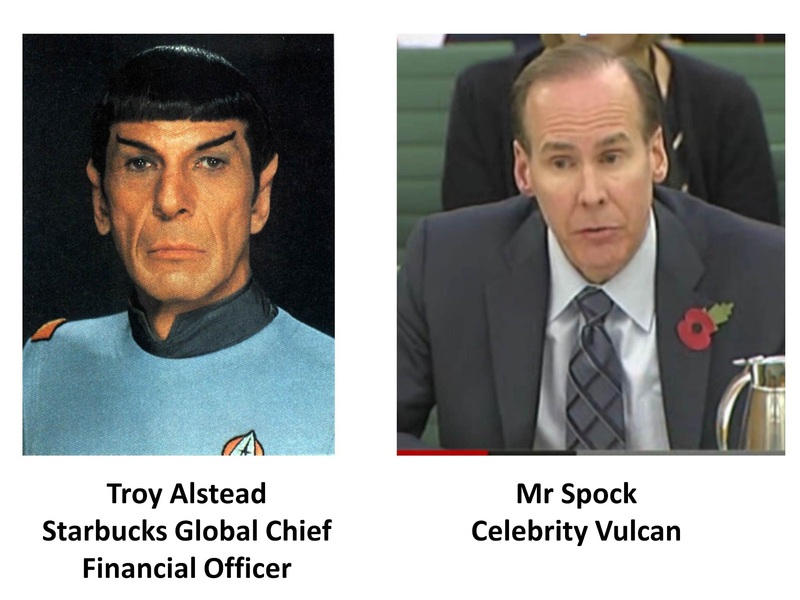 BishopBlog: Are Starbucks hiding their profits on the planet Vulcan? Are Starbucks hiding their profits on the planet Vulcan? I just love the fact that the BBC have a Democracy Live channel where you can watch important government business. The Public Accounts Committee may sound incredibly dull, but I found this footage riveting. The committee grills executives from Starbucks, Amazon and Google about their tax arrangements. Quite apart from the content, it provides a wealth of material for anyone interested in how we interpret body language as a cue to a person's honesty. But for me it raised a serious issue about Starbucks. Is it run by aliens? I heard they're hoarding their wealth in the form of diamonds, painted brown and disguised as coffee beans. I layered in a die cut for and chipboard element for my title. You’ll also see a couple Wooden Tags mixed in.